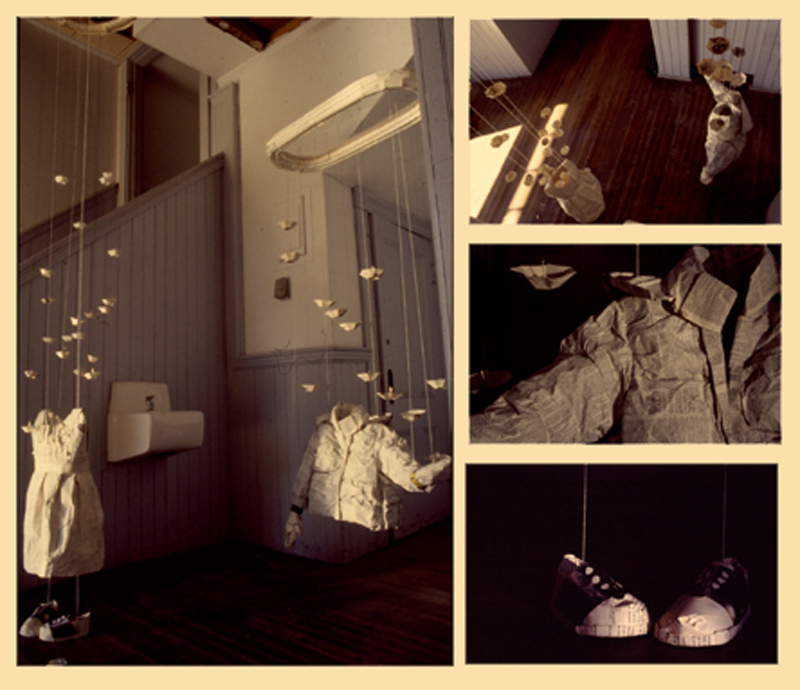 Been Charmed is an installation created for an old, vacant schoolhouse on the island of Vinalhaven, Maine before renovation. The figures are two children represented by their clothing, hung from frames on the ceiling. Been is created from a Dictionary, and a Handbook to the outdoors. Charmed was created from a Book of music theory and Secrets of the universe. The upside down umbrellas that hover around them are made from books on birds and bees respectively.